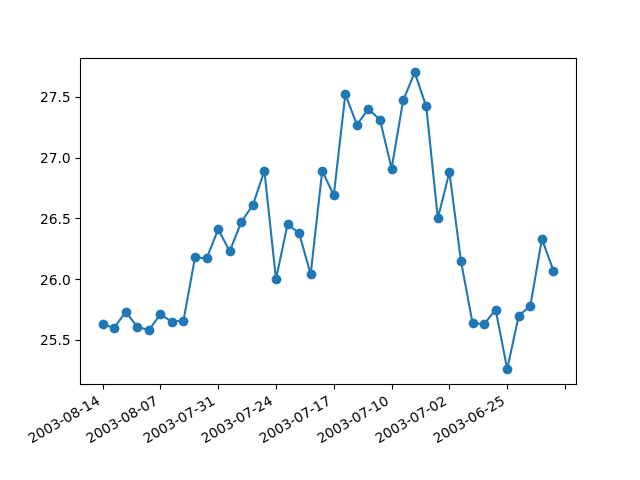 When plotting daily data, a frequent request is to plot the data ignoring skips, e.g., no extra spaces for weekends. This is particularly common in financial time series, when you may have data for M-F and not Sat, Sun and you don’t want gaps in the x axis. The approach is to simply use the integer index for the xdata and a custom tick Formatter to get the appropriate date string for a given index.